Would you like to use Envira and a CDN to serve your gallery images off-site? You can certainly do that with Envira Gallery, but there are a few things you may not be aware of. This tutorial will help explain the limitations. What is an image cloud service? How can I turn off JetPack’s CDN? An image cloud service is often referred to as a CDN (Content Delivery Network). A CDN can serve static files to your site including such as images and can sometimes speed up the page load on your site. You can read more on what a CDN is from our friends at WPBeginner. When using an image cloud service such as Amazon S3 or JetPack, these services can remove the images from the Media Library therefore causing Envira to not have access to the image. If you have the option of leaving the original image in your Media Library, then you could continue to use your CDN and Envira with cropped images and other services as listed above. Without the correct permissions and access to the original image in the Media Library, Envira is unable to create these images for your gallery. Another limitation, in some cases, can be that the cloud service actually slows down your site. This can be just a matter of which cloud service you are using and the setup you have for that service. Need any help on site performance? Check out our tutorial on How to Optimize Your Website and Images for Speed. 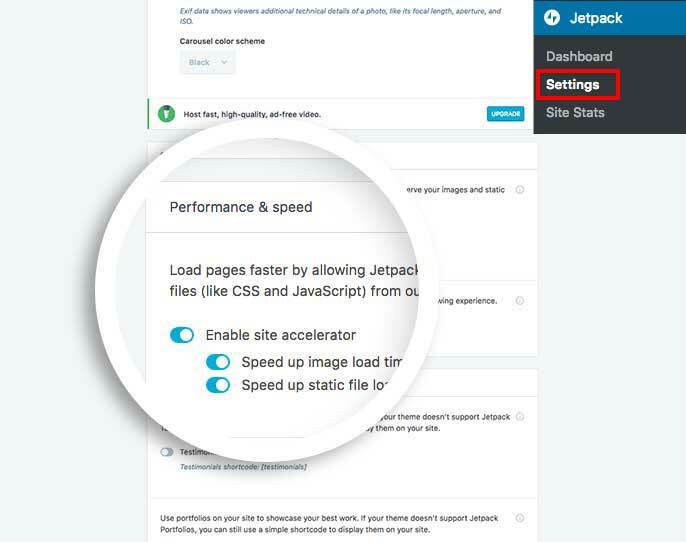 A: Navigate to JetPack » Settings, under the Performance & speed you’ll have an option to turn the Serve images from our global CDN on or off.